I’m amused because we as a race already make massive decisions like these. They just aren’t so apparent and deliberate. We, as a species, decide what species survive, and what species will not. This is not because we have some god complex; this is because we dominate the globe, changing its climate, populating it’s wild landscapes, eating and trading away creatures to oblivion, and only we have the resources to maintain hopefully some of it. Over the next 100 years or so as many as half of the Earth’s species, representing a quarter of the planet’s genetic stock, will functionally if not completely disappear. The land and the oceans will continue to teem with life, but it will be a peculiarly homogenized assemblage of organisms unnaturally selected for their compatibility with one fundamental force: us….The broad path for biological evolution is now set for the next several million years. And in this sense the extinction crisis – the race to save the composition, structure, and organization of biodiversity as it exists today – is over, and we have lost. Perhaps if we dedicated a few billion dollars more, increased cooperative efforts among government, expanded the system of bioreserves, cultivated sustainable economics among local communities, and reduce human consumption habits we could save the Earth’s biota. Unfortunately, such efforts are far too little and far, far too late. In fact…[o]ur most common tools for preserving biodiversity – prohibitory laws and regulations, bioreserves, and sustainable-development programs – are themselves powerful engines of human selection, tweaking (for our pleasure) but not fundamentally altering the outcome: massive species loss with the attendant disappearance of the wild. Of course, the end of the wild does not mean a barren world. There will continue to be plenty of life covering the globe…Life will just be different: much less diverse, much less exotic, much more predictable, and much less able to capture the awe and wonder of the human spirit….We have lost the wild for now. Perhaps in five or ten million years it will return. It’s brilliant writing, brilliant ideas, and damn depressing to think about. But Meyer is absolutely right. This is the trajectory we are on. How do I continue working in marine conservation? Frankly, I’ve never felt much like an environmentalist. I got my start in international development and I still think about the world through this lens. Conservation work for me is much more about helping humanity keep what it really needs – ecosystem services and natural wonder – and the wild spaces that most teach us who we are and where we came from. We can’t keep all that we have today; my hope is that we can at least keep some of it. ← What is IUU Fishing? How do you keep ding marine conservation? Or climate work? Or any other world-saving work? When I ask myself these questions – and you know that those of us who do the work ask it all the time – I answer with more questions: what’s the alternative? Do nothing? be part of the problem? There may well be tipping points beyond which we will lose a lot very quickly, but we can help insure that there will be more saved than if we’d done nothing. 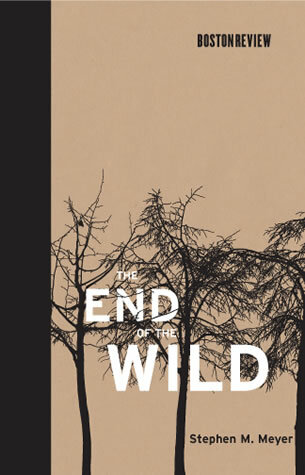 Thanks for the great post – I haven’t read the End of the Wild yet, but now I will. Danielle, great question. I’ve got two answers, which I seem to tell myself in varying degrees depending on how rough the slog is and how much I stretch beyond my comfort zone. The first is that even in a changed world, we will very likely succeed enough to keep some wonderful pockets of natural beauty and ecological complexity.